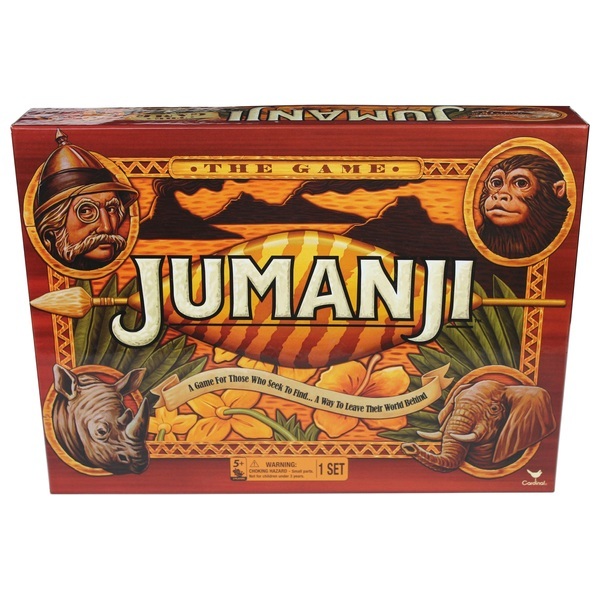 Stalking lions, charging rhinos, snapping crocodiles, and other dangerous creatures—in the wild world of Jumanji, they’re only a die roll away! Grab your pawn, roll the eight-sided number die and move through the jungle. Draw a danger card, then use your decoder to discover the secret message and see if disaster strikes. Your fellow players must race against time to rescue you. The jungle threatens and begins to fill up the Doomsday Grid. If the grid fills up, the jungle will overpower you and your fellow players—everyone loses. If you are the first to reach the centre before the Doomsday Grid fills up, yell "Jumanji!" and win!